ETCS (the European Train Control System) is the signalling and train control component of the European Rail Traffic Management System (ERTMS). It comprises standard wayside equipment and train control equipment within the cab. All new, upgraded or renewed tracks and rolling stock in the EU are required to adopt ETCS and many networks outside the EU have also adopted ETCS for their high-speed rail projects. Why test ETCS rail telecoms and signalling performance? When rail lines are upgraded to the ETCS safety standard level 1, they rely on GSM-R telecommunications and at level 2, they also reply on the wayside equipment to control the train. If a failure occurs, the train will stop, causing passenger dissatisfaction and delays, as well as incurring penalties and unplanned maintenance. This means it is critical that the electronic information continuously passed to the driver can also be continuously monitored – each and every second of each and every journey. 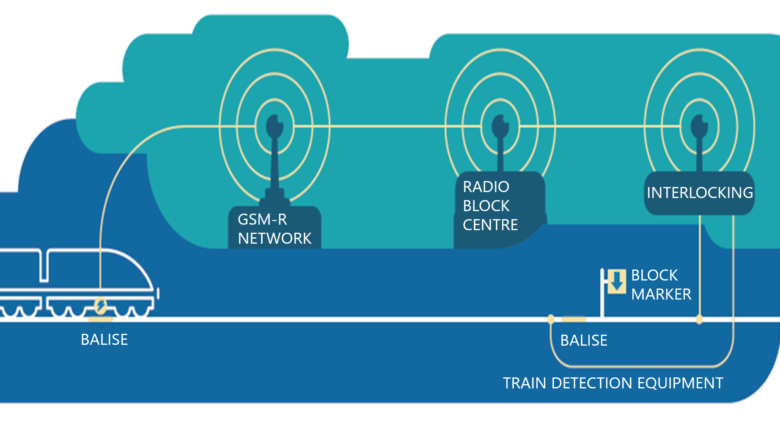 If a failure is not identified in the GSM-R or signalling network on the ETCS line, the next step is to investigate the train movement authorities, RBC and interlocking. In many cases, the test and monitoring equipment is installed on test trains and wayside, along the track. Telecom and signalling operatives collect GSM-R and signalling data, which is used to measure the quality of service and identify issues. Passive probes are used to collect interlocking data. As test trains often operate outside the main commuting times and are expensive to equip, portable GSM-R testing solutions are also used to extend the testing capability. Operators can conduct their own tests or run automated tests on-board operational trains or on platforms, using test equipment in trolleys or backpacks. The ERTMS and national signalling systems and other operational asset data can be continuously and automatically collected using testing equipment installed on-board test or operational trains.